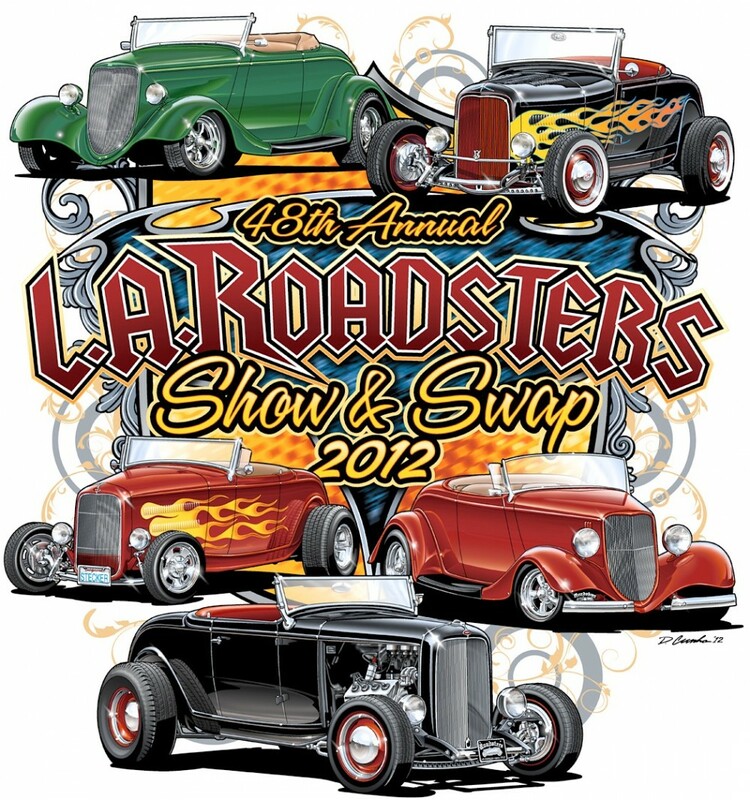 If you’re lucky enough to live in Southern California, you won’t need much reminding that the 48th LA Roadsters Show & Swap will take place at the Pomona Fairplex on 16th-17th June 2012. 2000 rods in speciality parking. Monster swap meet. Cacklefest. Huge indoors Manufacturer’s Area. There’s always plenty to see over the Father’s Day Weekend. Click here for more info. And here for the flyer. If you’re heading to the show this year, please call and say hi. You’ll find us at the H&H Flatheads booth just outside Building 4. We’ll have carburetors, linkages and service parts there, of course, plus a full range of Stromberg Clothing & Collectibles too – T-shirts and hats, signs, license plate surrounds and more. Stock up for summer. And save on shipping! 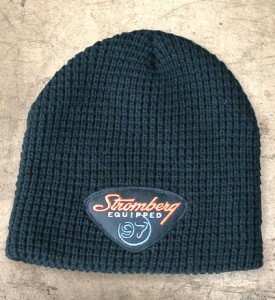 Stromberg Wool Look Beanie - Black Patch - 1717-B. Order today!